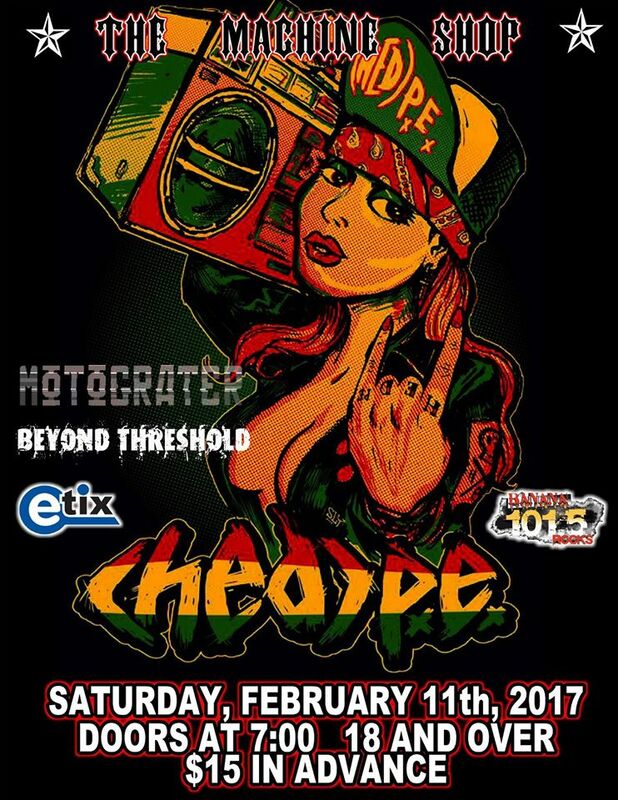 SATURDAY FEBRUARY 11, 2017: BANANA 105.1FM PRESENTS HED P.E. W/ MOTOGRATER, BEYOND THRESHOLD @ The Machine Shop in Flint, MI!! 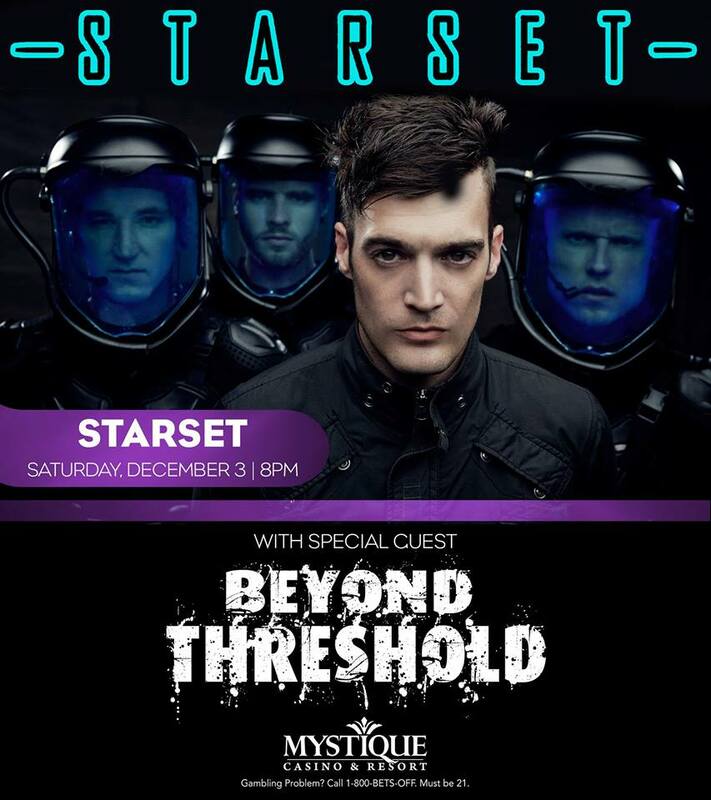 SATURDAY DECEMBER 3, 2016: KGRR HOLIDAY BASH: STARSET W/ BEYOND THRESHOLD @ Mystique Casino & Resort in Dubuque, Iowa!! 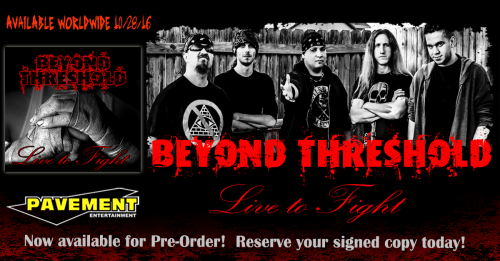 BEYOND THRESHOLD “LIVE TO FIGHT” HITS RADIO!! 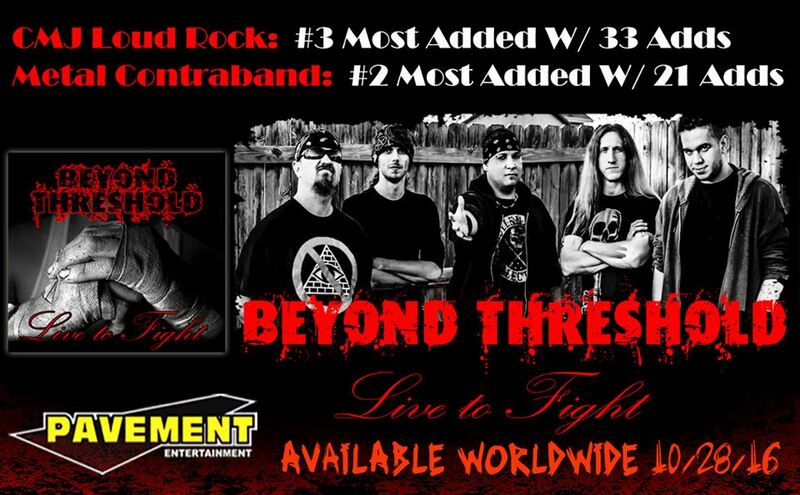 Radio is off to a great start for Beyond Threshold‘s NEW album, “LIVE TO FIGHT” with The CMJ Loud Rock Charts at #3 Most Added & Metal Contraband at #2 Most Added! Make sure to request our newest single “Solitude” on your local radio stations!! BEYOND THRESHOLD “LIVE TO FIGHT” AD IN REVOLVER’S DECEMBER ISSUE!! Check out Beyond Threshold in REVOLVER Magazine’s December Issue!! 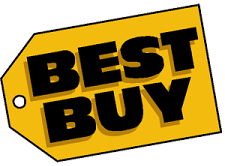 Don’t forget pick your copy fresh from the press! 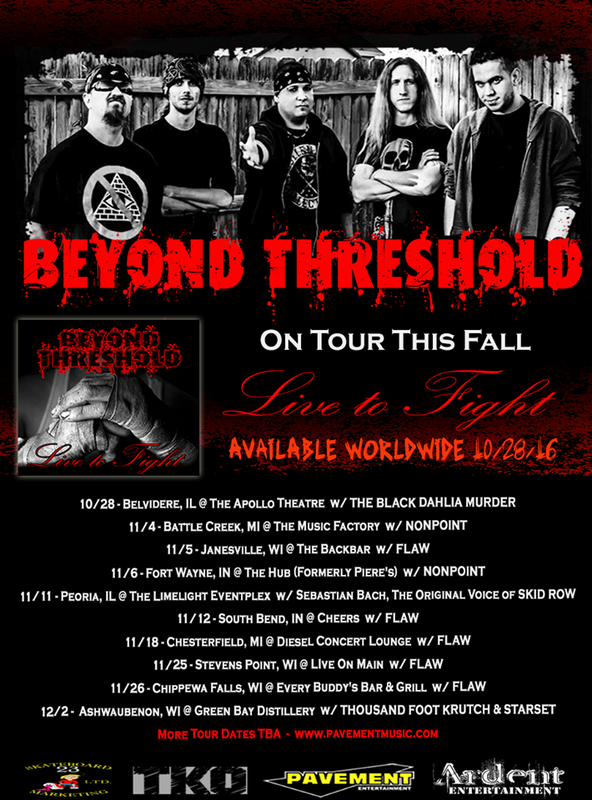 BEYOND THRESHOLD ON TOUR THIS FALL IN SUPPORT OF NEW ALBUM “LIVE TO FIGHT”!! 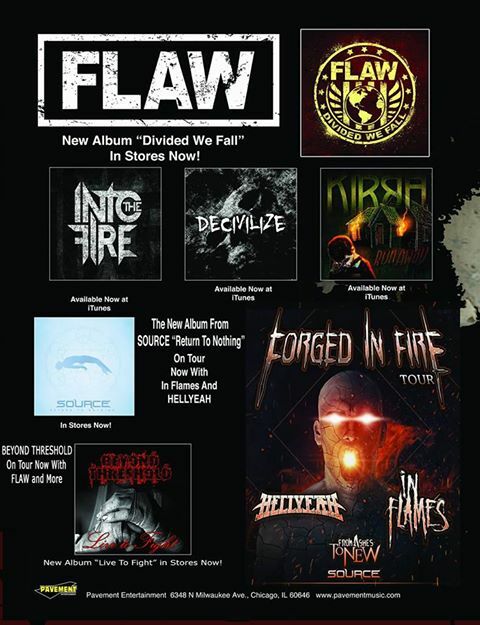 Check out the new review of “Live to Fight” from www.welovemetal.com!! 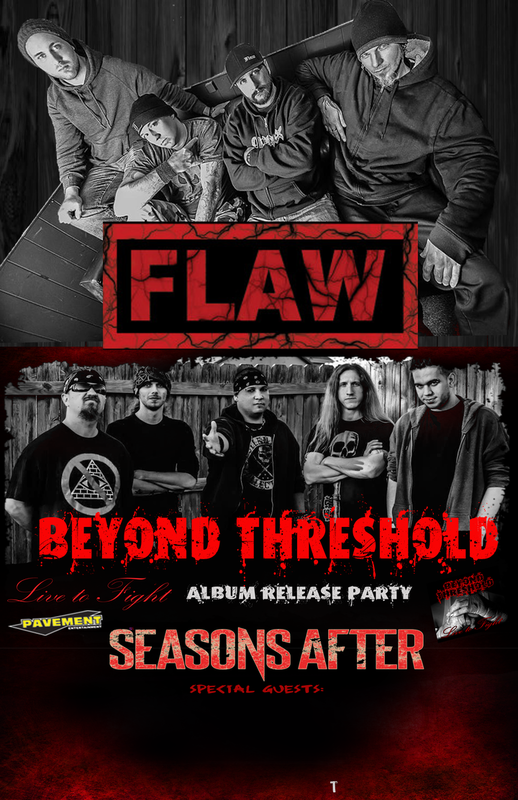 SATURDAY NOVEMBER 26, 2016: FLAW & BEYOND THRESHOLD (LIVE TO FIGHT Release Party) w/ SEASONS AFTER @ Every Buddy’s Bar in Chippewa Falls, WI!! 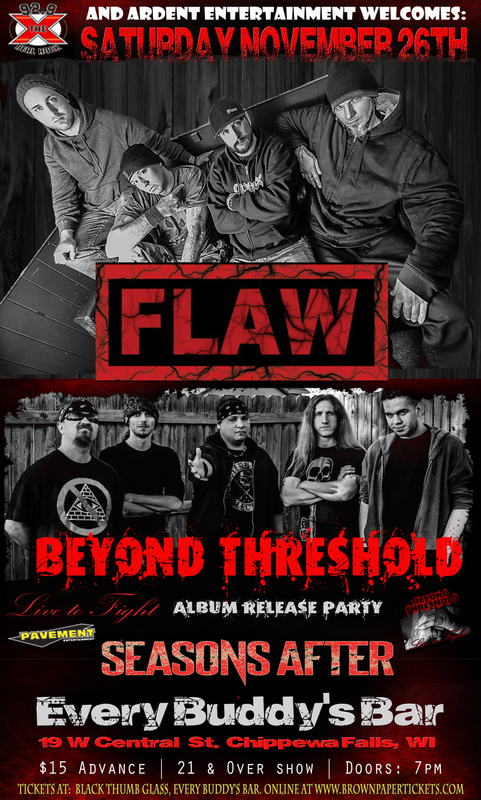 FRIDAY NOVEMBER 25, 2016: FLAW & BEYOND THRESHOLD (LIVE TO FIGHT Release Party) w/ SEASONS AFTER @ Live on Main in Stevens Point, WI!! 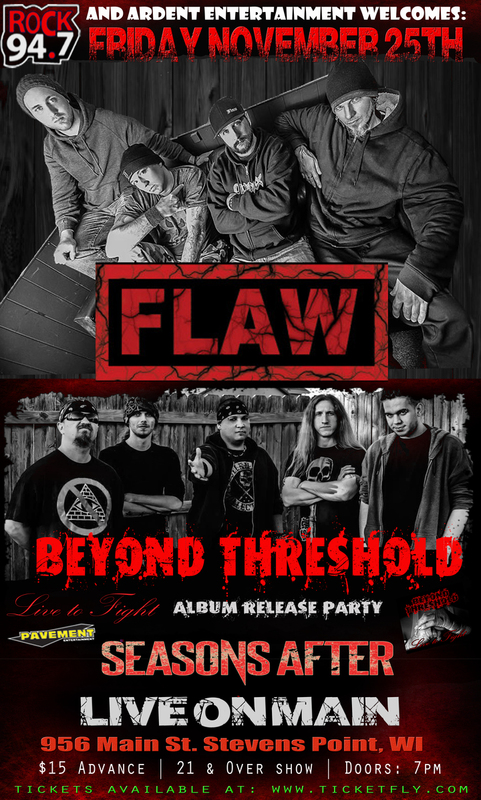 FRIDAY NOVEMBER 18, 2016: FLAW & BEYOND THRESHOLD (LIVE TO FIGHT Release Party) w/ SEASONS AFTER @ Diesel Concert Lounge in Chesterfield, MI!! 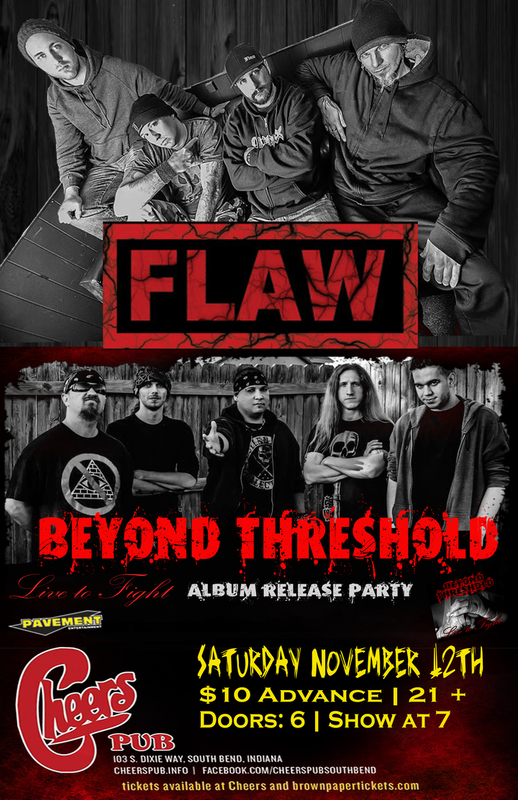 SATURDAY NOVEMBER 12TH, 2016: FLAW & BEYOND THRESHOLD (LIVE TO FIGHT Release Party) @ Cheers in South Bend, IN! !